Dual boot with Windows and Linux leads to the access of files in other Operating Systems. 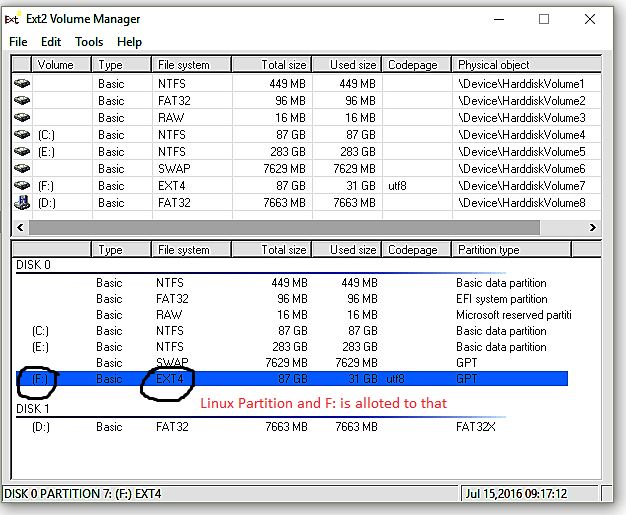 Viewing a windows partition on a Linux OS is not a big task. One can simply mount the OS and can see the files of windows within Linux. But accessing Linux EXT2, EXT3 and EXT4 files within Windows can be done only through an external software. 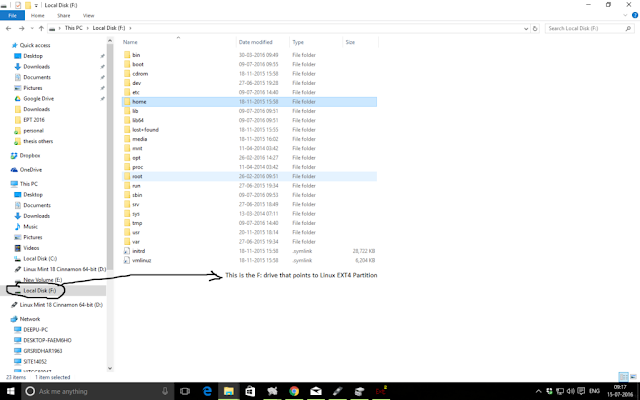 Once installed, its as easy as possible to “assign a drive letter ” to the partition. Figure below shows that. 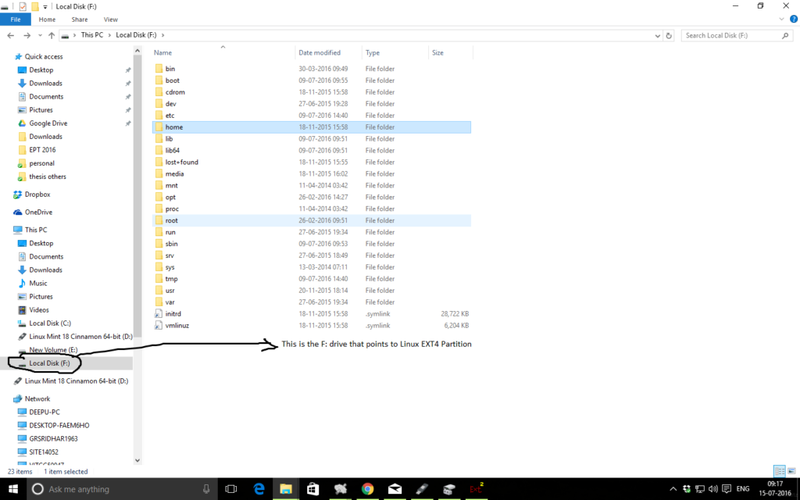 Its just a simple process to access the linux files within windows. This is really helpful for the machines with UEFI partition. When Linux Boot loader is deleted, this will help to retrieve the files. Any other info, please comment below.